Since the 1960s, Italian manufacturer Piaggio has been successfully producing a popular range of high-wheeled scooters. Blending everyday practicality with eye-catching design, the company's line-up offers something for every rider. 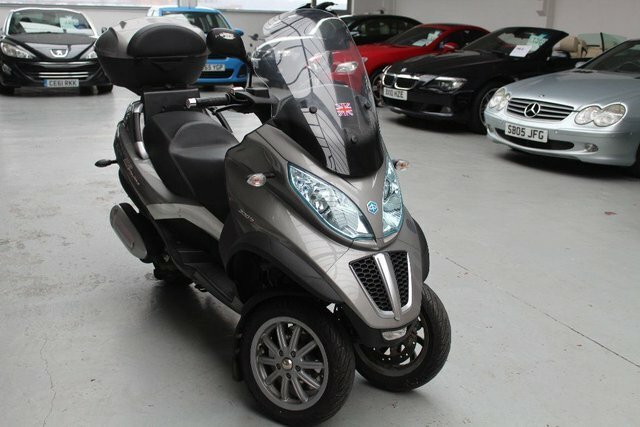 Take a look at the complete range of used Piaggio scooters for sale in Chatham here at Grays of Chatham. We're a leading supplier of quality two-wheeled machines, and our experienced team will always go the extra mile to help ensure you find the perfect model to suit your lifestyle and budget. Every used Piaggio bike you'll find listed on our website has been thoroughly inspected prior to going on sale, meaning you'll always be able to buy with confidence. Call our showroom today to find out more.